At Office Interiors, we recognize that work isn’t the only thing you do. So we are committed to making your workplace more functional, effective and productive, so you have more time for the other important things in life. Our comprehensive manufacturers feature everything needed for an effective, collaborative workplace. OI’s extensive range of services, combined with our years of experience and dedication to customer satisfaction create a superior solution for you, the client, every time. Just when we thought we understood sit stand. Comments Off on Just when we thought we understood sit stand. 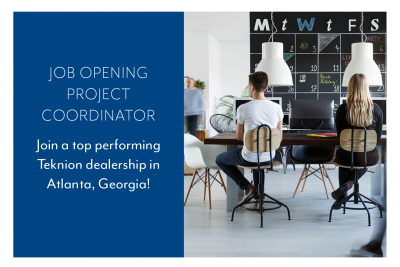 Join a top performing Teknion dealership in Atlanta, Georgia! Comments Off on Join a top performing Teknion dealership in Atlanta, Georgia!